Continuity mistake: Aboard the yacht, Solo tucks his gun into his waistband. Next shot, as he takes cash out of the box, the gun has disappeared. It reappears in the shot after that. Continuity mistake: In Waverly's office, Illya hones his combat skills by swinging at a suspended wooden block with a baseball bat. When the alarm goes off, Illya puts the bat down on the table, and he and Solo rush to the computer console. In the next, reverse angle shot, the block is still hanging from the ceiling, but the baseball bat has vanished from the table. Buy the booksMost popular pagesBest movie mistakesBest mistake picturesBest comedy movie quotesMovies with the most mistakesNew this monthTitanic mistakesJaws mistake pictureFriends mistakesDjango Unchained endingI Am Legend questionsThe Passion of the Christ triviaRobin Hood: Men in Tights quotesAvatar plotKeanu Reeves movies & TV showsThe 20 biggest mistakes in Jurassic ParkPirates of the Caribbean: The Curse of the Black Pearl mistake videoMore for The Man From U.N.C.L.E. Napoleon Solo: My name is Napoleon Solo. I'm an enforcement agent in Section Two here. That's operations and enforcement. 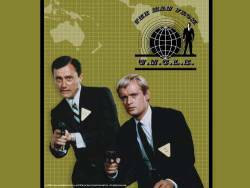 Illya Kuryakin: I am Illya Kuryakin. I am also an enforcement agent. Like my friend Napoleon, I go and I do whatever I am told to by our chief. Alexander Waverly: Hmm? Oh, yes. Alexander Waverly. Number One in Section One. In charge of this, our New York headquarters. It's from here that I send these young men on their various missions. 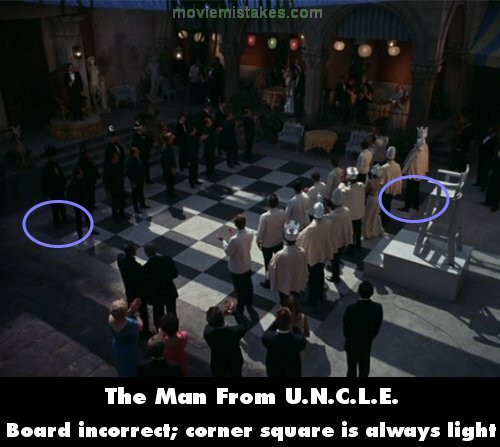 "The Man From U.N.C.L.E. 's" original working title was "Solo," and its lead character was named for a spy with a minor role in one of Ian Fleming's early Bond novels. U.N.C.L.E. producer Norman Felton had a handshake agreement with Fleming to use the name and to develop "Solo" as a TV spy series. But the Bond film franchise had other ideas, reneged on the agreement on Fleming's behalf, and sued, forcing the title change. Felton prevailed only in retaining the character's name: Napoleon Solo.